Each Data Source has a certain amount of historical data that's synced once you initially connect it in Databox. From there, more historical data is accumulated over time. Learn how much historical data is synced for each Data Source here. In order to achieve your reporting objectives, you may need access to more historical data. For certain Data Sources, this is possible through the Query Builder tool. Using the Query Builder, you can create Custom Metrics and add additional Date Ranges to fetch even even more historical data. For example, Databox initially accesses 3 months worth of historical data for Google Analytics connections. If you need more historical data, you can either allow for more time to pass to accumulate it or create a Custom Metric. Navigate to Data Manager > Query Builder and select + New query. Once you've selected the Metric and Dimension (optional), you can add up to 8 Date Ranges you'd like to report on, including those that would sync more historical data for that Metric. You must create a unique Custom Metric for each Metric you want more historical data for. The Custom Metrics you create will then be available for use through Databox including adding to Databoards, Notifications or Goals. If you're creating multiple Custom Metrics that are similar to each other (i.e. using the same Date Ranges but changing the Metric), you can use the Clone feature to create them more efficiently. 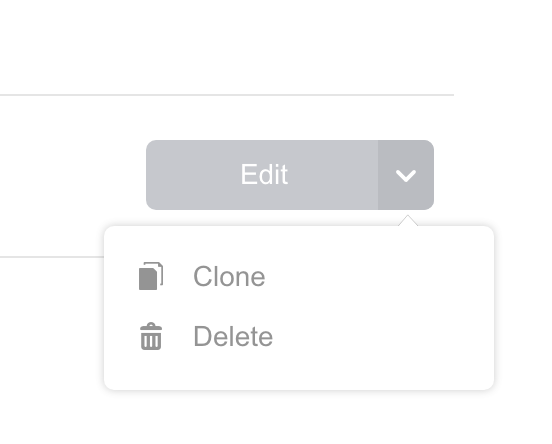 Navigate to Data Manager > Query Builder and select Edit on the Custom Metric you want to Clone.